As the water comes inside your building, it causes two distinct types of damage. Rot and rust impregnate the structure and eat away at it, affecting every weak spot first and establishing a foothold to cause further damage. Eventually, there is so little left that the building is no longer structurally sound but a disaster waiting to happen. The second type of structural damage is mold. Moisture in your building provides everything a single mold spore needs to turn into a patch of mold, which only grows larger. Mold causes a number of health issues and is especially aggravating to people with pre-existing asthma, the elderly and small children. By the time you begin to see cosmetic damage, that is, water stains on your drywall or even worse, water leaking directly from the ceiling, the bulk of the structural damage has already occurred. Water stains on drywall can sometimes be fixed with a couple of coats of primer and a new paint job, but often require the drywall be replaced. However, that is far easier than the structural repairs behind the drywall and the removal of mold. This is why it’s so important to have a professional inspect your roof regularly and catch a potential problem rather than fixing a major problem. 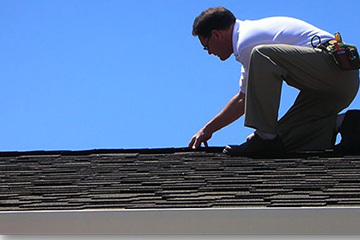 Have your roof inspected now to avoid larger problems later. Give us a call at APlus Roofing at 952-894-5435.